Never change a winning team. That’s what DJ Khaled has thought for his new single “No brainer”. 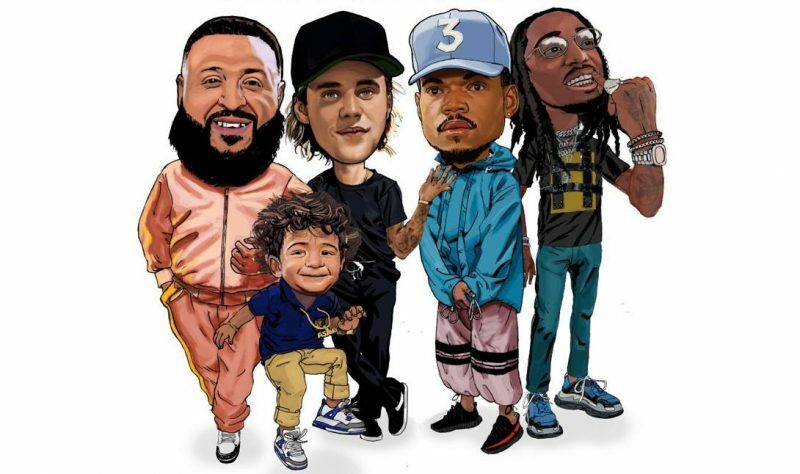 The summery pop rap track sees Justin Bieber, Chance the Rapper and Quavo once again after last year’s number one hit “I’m the one”. The song arrives with a music video directed by Colin Tilley (Kendrick Lamar, Nicki Minaj, Selena Gomez) where the dream team is busy on a Hollywood movie set. It includes a cute cameo from DJ Khaled’s son Asahd. “No brainer” is the second single off of the rapper’s eleventh studio album “Father of Asahd”.